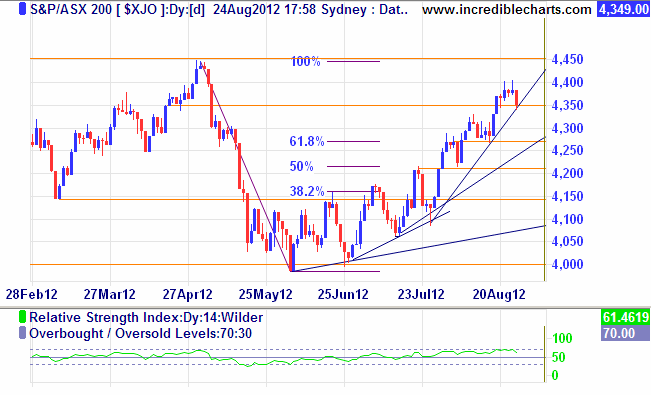 The XJO has been trending up with increasing momentum over a period of nearly 2 months now. Even a 34 point decline on Friday found support on the trendline, despite some sharply lower profit results. I would think that the uptrend should resume on Monday, but if not support at 4275 would be tested. Hopefully the worst of the five year bear market is over now and better economic news on the horizon, despite concerns that Australia’s mining boom is over.